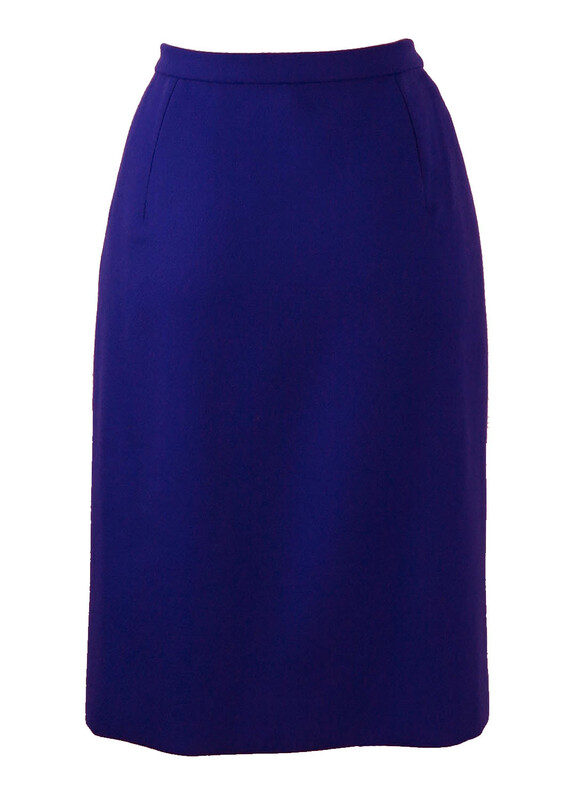 Beautifully tailored two piece suit in a striking electric blue colour tone. 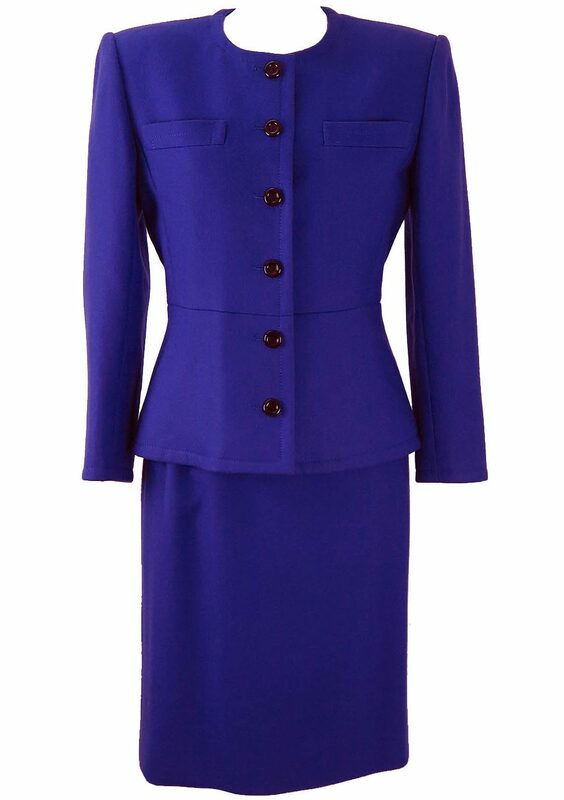 Fully lined, the skirt is a classic pencil cut and the jacket has a well structured shape with a slightly cinched in waist. 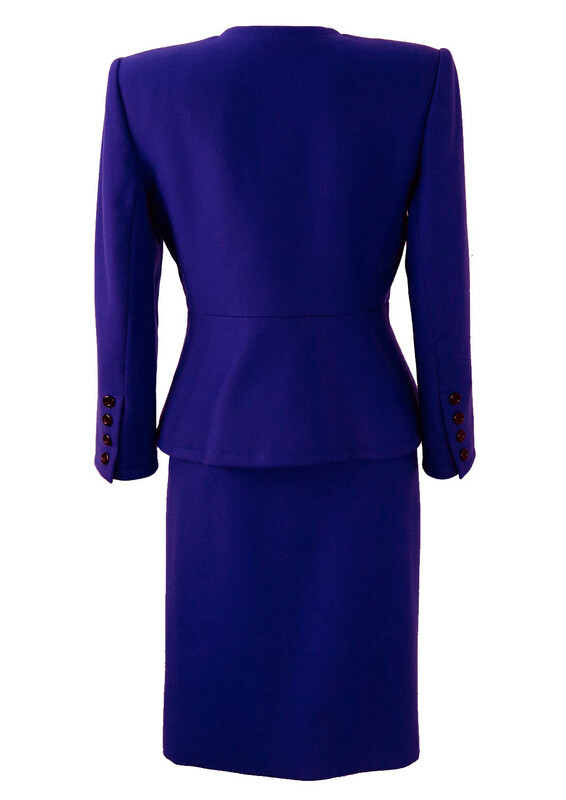 Although there is no fabric label, we feel that the garment is made from wool or part wool. 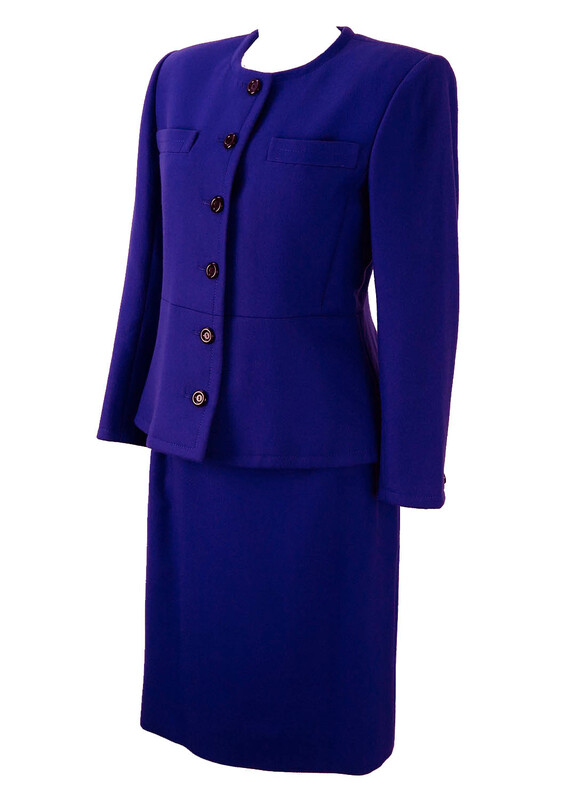 Jacket – 24", Skirt – 24.5"